We were delighted to welcome Yui Funatsu who joined us through IAESTE internship programme. Yui joined us from Kyushu University in Fukuoka, Japan where she is studying microbial technology. Yui is a self-starter and has a considered, diligent approach. Yui also has a family history in the patent field, her grandfather, Gunki Funatsu, being an inventor on US patent no 9974727 for a Hair Growth and Hair Restoration Material, an innovation that has attracted some attention our office at least (I am sorry to say). 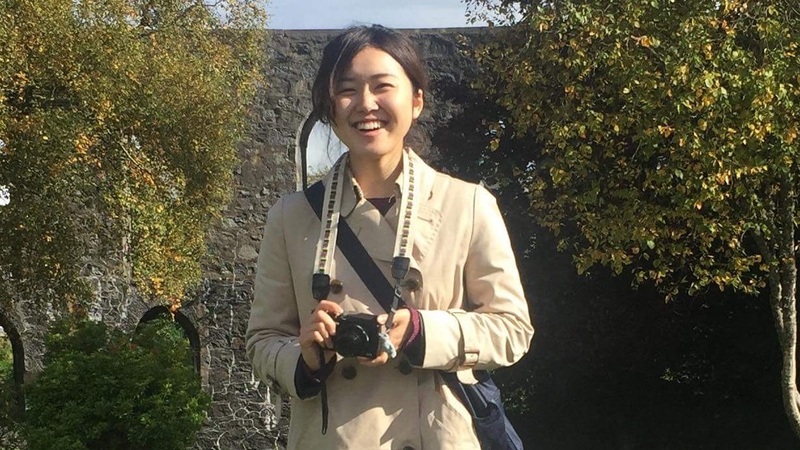 Yui’s own research focuses on the gut microbiome and in particular assessing techniques for measurement and assessment to determine consistency and accuracy in data generated. Her work will surely contribute to an emerging scientific field. For Ellis IP, Yui has been seeking to help us improve our engagement with clients and associates in Japan. Building on the work that Daisuke Mashima began last year, Yui was helping us develop a better understanding of the needs of Japanese clients in particular and a plan for us to improve how we engage with the Japanese innovation community. IAESTE (http://iaeste.org/) is an international organisation that arranges opportunities for international internships for science and engineering students around the world, with the worthy goals of building bridges between nations and providing that valuable experience for undergraduate and graduate students. It has over 80 member countries. In the UK, the IAESTE programme is administered by the British Council.